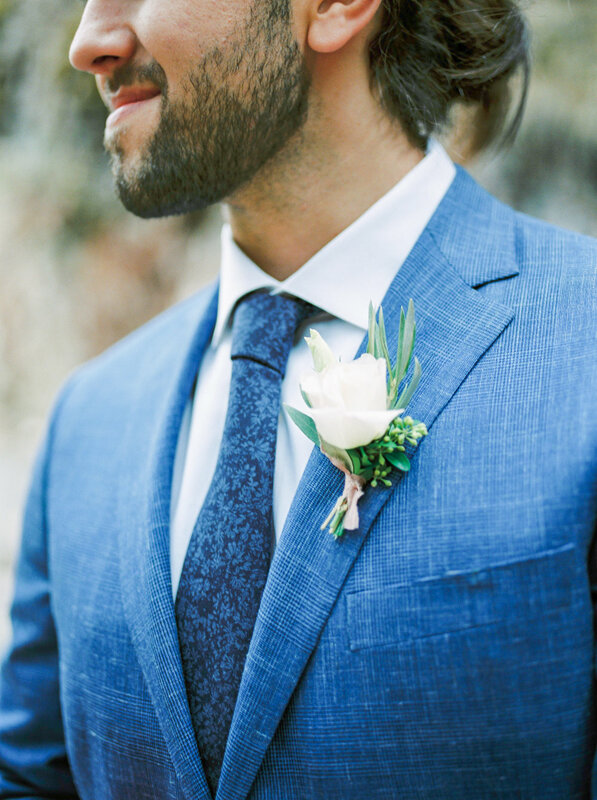 "The inspiration behind this styled shoot was Efflorescence which is the action or process of developing and unfolding as if coming into flower or blossoming. 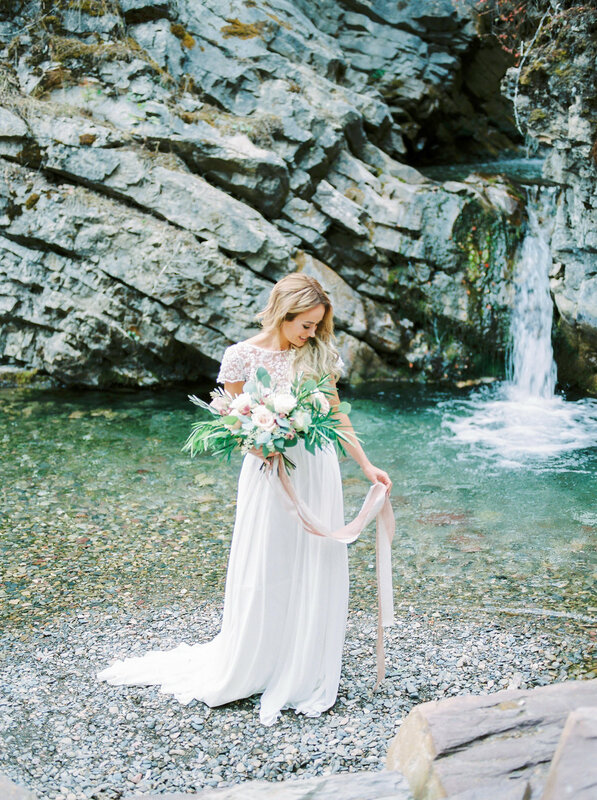 Efflorescence is the very definition of spring here in the mountains and it completely defined the look and feeling of this shoot. 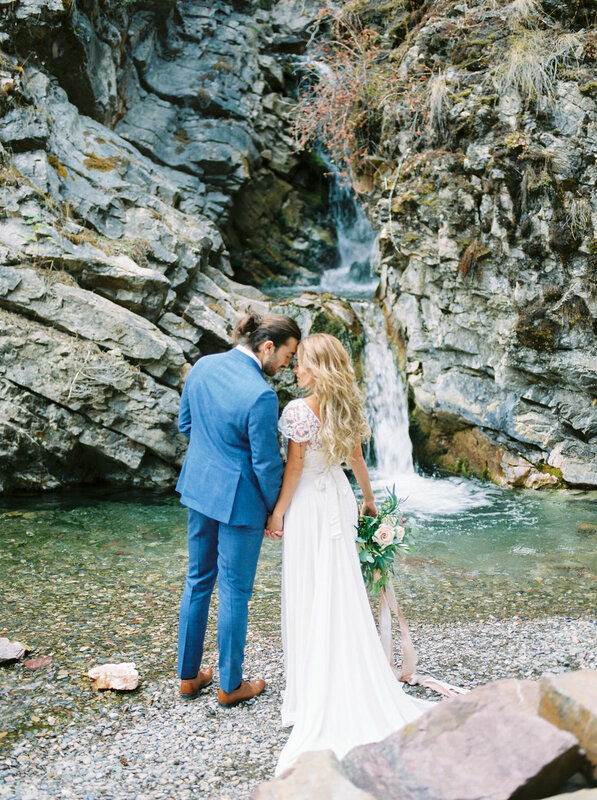 Shooting in the Rocky Mountains, which is a very popular area for weddings, we wanted to showcase the unseen and untouched areas to inspire brides to think outside of the box. We searched and searched until we found the perfect spot that not many people know exists. 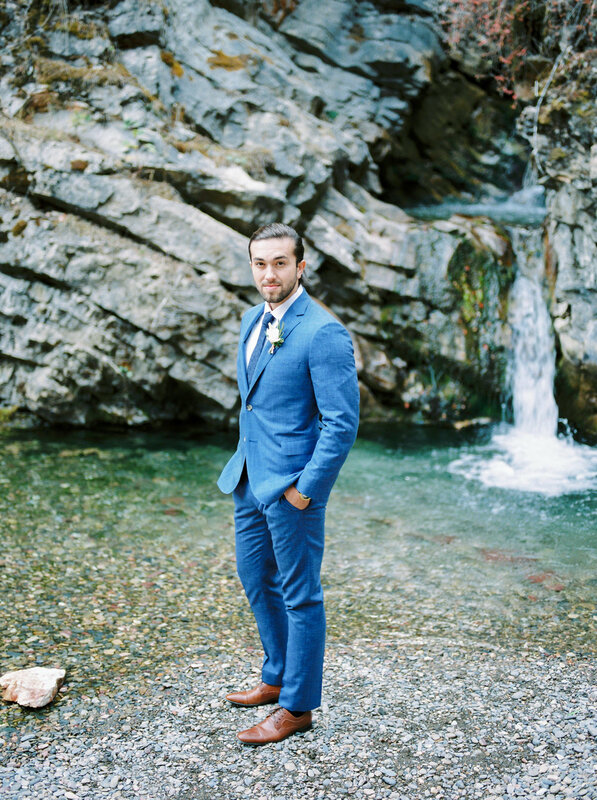 "Drawing inspiration from the natural color of the stones that made up the fireplace, we created our color pallet for the bouquet. We used soft pinks, grayish greens and ivory. 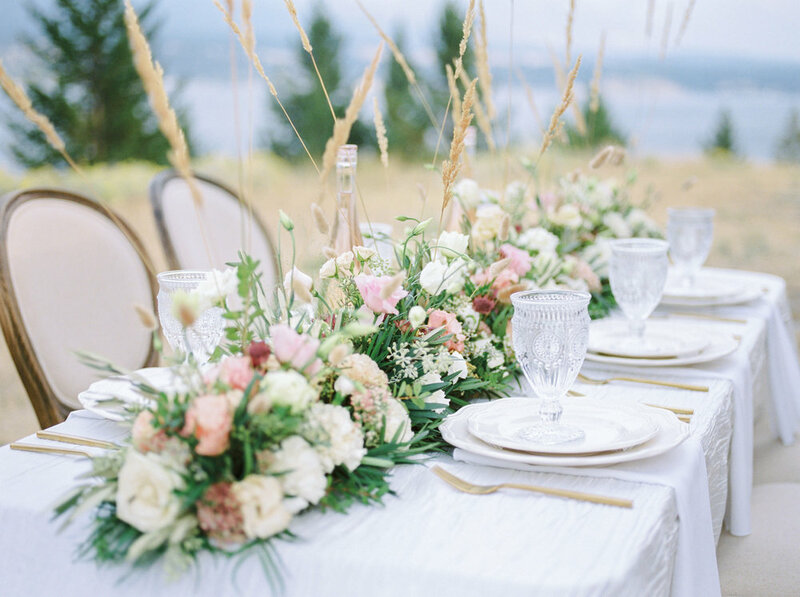 Lindsey from Fall For Florals took inspiration from the surrounding vegetation to create the centerpiece to match the bouquet but also included grasses which surrounded us on the property.